If the heroic state trooper hadn’t helped Belle, her life would have ended that day in the cold waters of the Erie Canal. 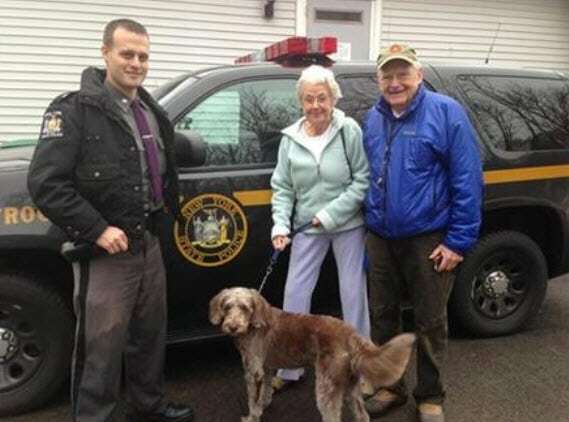 A seven-year-old Labradoodle named Belle from outside Rochester, New York, is alive today thanks to State Trooper Kevin Lund. 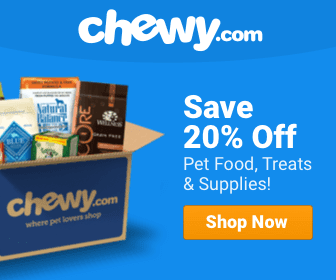 On December 15, 2014, the dog was enjoying a walk when she stepped onto the ice surface of the Erie Canal in Bushnell’s Basin, Monroe County, and fell through. Fortunately, Lund spotted the pet in need and immediately stepped up to rescue the dog. Lund was patrolling the area and saw Belle struggling to keep her head above the water. The canine was also unable to climb out of the water on her own and get back on the icy surface of the canal again. If the hero officer hadn’t helped her, Belle’s life would have ended that day. The state trooper placed a ladder on the canals’ icy surface and carefully crawled on top of it until reaching the pet. The hero officer pulled the dog to safety and was then partially submerged in the freezing water, but thanks to the ladder, officer Lund was able to pull himself out of the cold water. Belle was reunited with her owners then taken to her vet for a full checkup. Fortunately, Belle didn’t suffer any injuries and just needed to be dried off and kept warm. Please share for the pound animals here in the Philippines. Thank you for your bravery. Gid bless you. A true hero. God bless him and Belle. Thank you Trooper Lund……… bless you for being a hero for this dog and her family! God Bless you State Trooper for saving the dog.